Montana lawmakers are considering a bill which put in place major changes to the state’s primary election system. Under Big Fork Republican Representative Scott Reichner’s bill, the two candidates who receive the most votes would move on to the general election, regardless of party. Currently, voters either choose to vote in the Democratic or Republican primary and choose candidates within that party. Reichner says the current primary system is not fair to voters who wish to support candidates of different parties in different races. “The bill has a simple goal, open up our primary elections to Montanans of all political stripes, Democrats, Republicans and everything in between, no more forcing people to choose one party or another,” he said. Secretary of State Linda McCulloch (D-Montana) opposes the bill. She says it would limit fair elections through penalizing parties that have many primary candidates splitting up their base. “Voters who identify with a party may not have a chance to advance their candidate to the general election if the party has significantly more candidates on the ballot than the opposing parties,” she said. Representative Reichner’s bill would also declare a primary candidate automatically won the general election if he or she gets more than 50 percent of the vote. The House State Administration Committee did not take action on the bill. A bill requiring a Montana issued identification card in order to register to vote prompted a long line of opponents during its Wednesday hearing. One person did line up to speak in favor of the bill but was dismissed for not approaching during the time designated for bill proponents. Representative Ted Washburn (R-Bozeman) is sponsoring several bills this session to modify the state’s voter registration process, including one which would eliminate Montana’s same-day voter registration system. He says he believes the current system is open to potential fraud, but that his voter ID bill (HB 108) does not confront those issues. 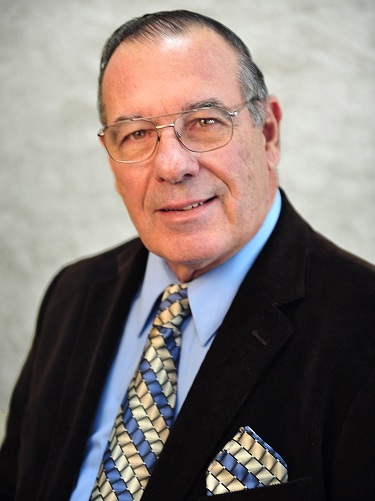 Washburn’s bill requires citizens present an ID issued by the Montana Motor Vehicle Division or a Montana Tribal ID card when registering to vote. If a Montanan doesn’t have a drivers license they can register for a standard Montana ID from MVD, which they can then use to register to vote. Washburn’s bill offers that ID card for free. “Just because a person is poor or they don’t have a lot of money, they could still vote,” Washburn said, saying the bill could secure free identification for groups like senior citizens and young people. Some of the opponents of the bill represented the groups Washburn said would be helped by it, such as the AARP. Native American groups and disabled persons also spoke against it as trying to find a solution in search of a problem. They pointed out Montana has no documented incidence of fraud. Rep. Washburn said some of these groups, although making sure not to point out any specifically, have their own agenda who may not actually have a problem with the legislation, but rather because “they oppose anything.” He said they don’t understand the intent of HB 108. Washburn said he has one more voting process bill the House State Administration Committee will be hearing soon, does address the fraud potential he sees in Montana’s election process. 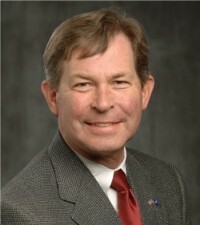 Bozeman Republican Representative Ted Washburn is proposing a bill to the Montana Legislature (HB30) which would eliminate Montana’s same-day voter registration system. 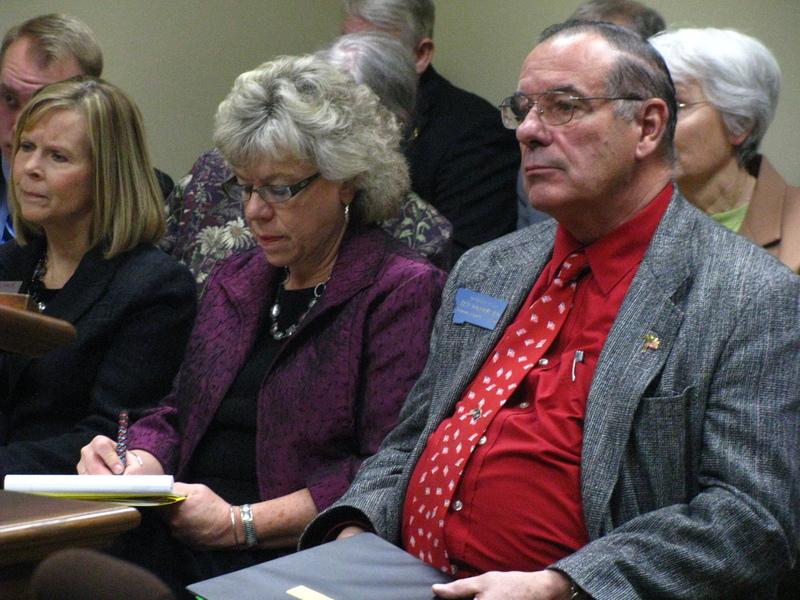 The House State Administration Committee held a hearing on the bill Monday. Washburn says the top reason he wants to this bill is to protect the integrity of the elections, a process he says is open to potential fraud. And, for Washburn, this bill would help reduce that risk primarily through reducing long lines on Election Day. 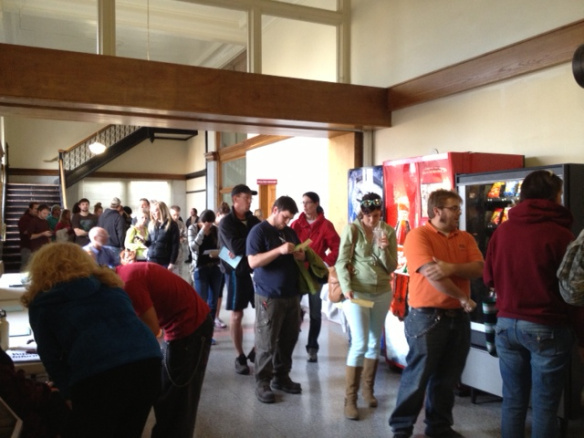 As we reported on Election Day 2012, many County Election offices around the state had people waiting in line for hours to vote. “You’ve got people lining up till midnight trying to register to vote,” Washburn said about last November 6th at his election office in Gallatin County. Rep. Washburn believes the number of people registering on the final day complicates to an already hectic process for election officials. His bill proposes moving the last day for voter registration to the last Friday before the election. As Lee Newspapers Reporter Charles S. Johnson reports, about 20 people spoke against Rep. Washburn’s bill, while only two spoke in favor of it. 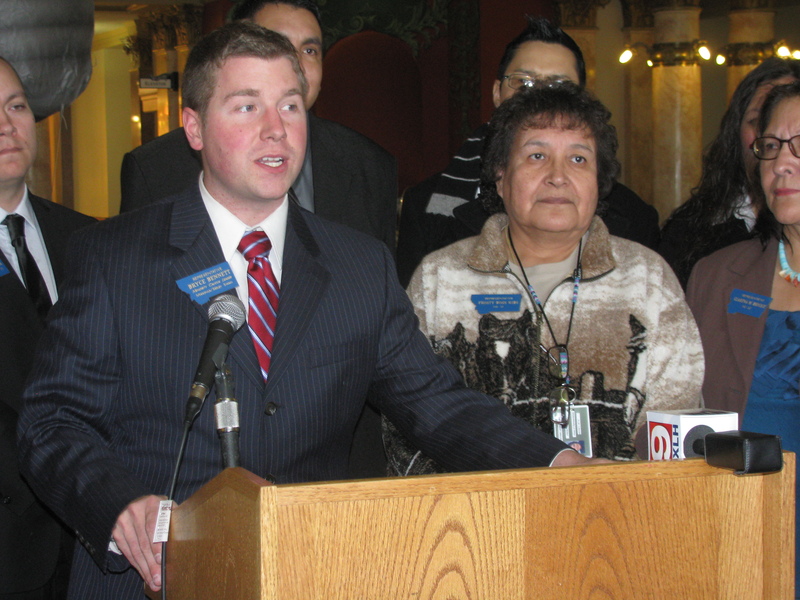 Groups such as the AARP, the ACLU as well as some Native American groups said the bill would ‘disenfranchise’ Montanans. Montana Secretary of State Linda McCulloch told the committee over 28 thousand Montanans have used same-day voter registration since it was implemented in the 2006 General Election. She says there have been no identified cases of voter fraud in Montana from same day registration and this is “a solution to a problem that does not exist.” . Montana has a new Governor. 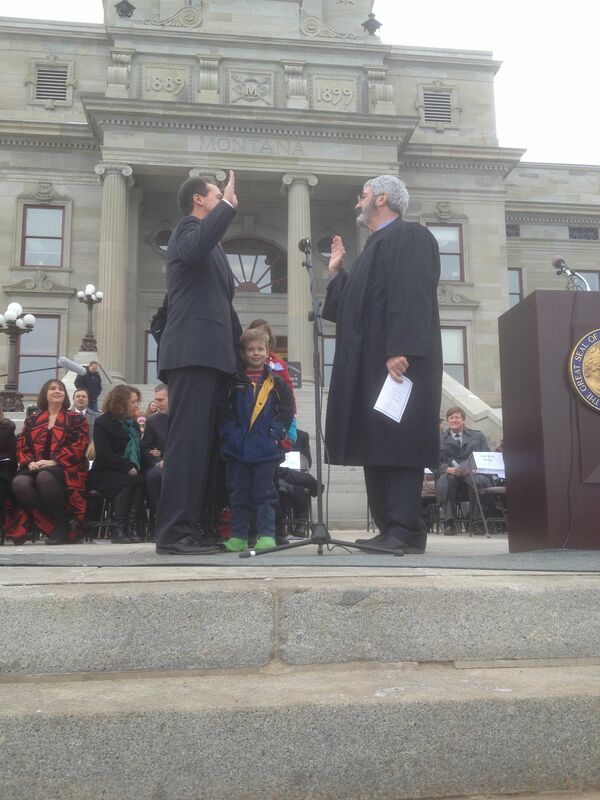 Democrat Steve Bullock was sworn into the state’s top job Monday, succeeding Governor Brian Schweitzer. Bullock is setting a tone of cooperation at the beginning of his term. “We’ll continue to grow our economy, foster 21st Century Industries and create jobs that didn’t even exist when we were children,” Montana’s new Governor, Steve Bullock, said Monday morning. Onlookers gathered on the cold Helena morning to watch the transfer of power. The inauguration of a new governor, on the north steps of the state capitol building. It was a ceremony beginning and ending with the voices of children, elementary students from Helena’s Central School. Outgoing Governor Brian Schweitzer took the podium in a long green trench coat to congratulate Steve Bullock and his family. “I…know that Steve Bullock, Governor Steve Bullock knows that the government’s for the last and the least. The first and the most, you’ll make your own way,” he said. Seven Statewide elected officials took the oath of office administered by Montana Supreme Court Chief Justice Mike McGrath: Supreme Court Justice Brian Morris, Attorney General Tim Fox, Superintendent of Public Instruction Denise Juneau, State Auditor Monica Lindeen, Secretary of State Linda McCulloch, Lieutenant Governor John Walsh, and Governor Steve Bullock. Bullock says he’s excited to work with a group of lawmakers as diverse as the landscape of Montana. “To the members of the 63rd Legislature, welcome,” Bullock said. He asked the Legislature to work not necessarily for the good of their party, but for the voters. And with that a man who grew up just a few blocks away from the Capitol building began his new job. Absentee ballots continue to break records this election cycle. Montana Secretary of State Linda McCulloch says election offices have sent out more than 270-thousand absentee ballots this year. 270-thousand sets a new record for absentees, the old record was 221-thousand absentees in the 2008 general election. Also, in the 2012 Primary Election, 60 percent of the people who did vote voted by absentee. McCulloch says it seems to be a growing trend. “I think people can sit at home around the kitchen table, they can read the information from the candidates, they can read the voter information pamphlet, and they can vote at their leisure,” she said. As of late last week about 70-thousand of the 270-thousand ballots had been returned for this general election. McCulloch says they are coming in quickly. “Is there something the voting public loses through that process? Not waiting around to hear the final arguments of candidates and things like that?” I asked her. A voted absentee ballot must be received at your county election office by the close of polls on election day, at 8 PM. Click here for the Secretary of State’s website, where you can find the location of your polling place. The race for Montana Secretary of State is not grabbing the headlines of other bouts at the top of the ticket. Yet, it pits two people against each other who both know the office very well. 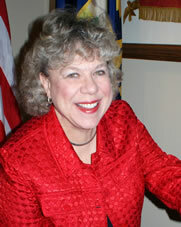 Incumbent Democrat Linda McCulloch has served as Secretary of State since 2008. In that race, she defeated then Republican Secretary of State Brad Johnson. In 2012, Johnson is running again, looking for a rematch. Each claims to be better suited for the role of the state’s chief elections officer. Democratic Secretary of State Linda McCulloch was on the road to Billings Friday. She was working a Secretary of State booth for the state teachers conference. This trip was part of her official duties. She says the campaign has been fairly quiet. “The U.S. Senate Race is getting all the attention and the Governor’s Race is getting all the attention and that’s as it should be,” McCulloch said. McCulloch touts herself as a budget hawk who has cut wasteful spending almost 20 percent since taking the office from Republican Brad Johnson, all without losing jobs. “When I took the office four years ago, it was almost a million dollars in the red. It had been in the red for three straight years,” she said. She says she has turned the office around and it is now running ahead, or in the black. Her opponent, former Secretary of State Republican Brad Johnson says that’s just not true. “In all four years, at the end of the fiscal year the bills were paid and there was a multi-million dollar positive fund balance,” Johnson said. Well, checking with the Legislative Fiscal Division, which keeps track of this kind of this stuff—it turns out, they’re both right. Here’s how it works, the Secretary of State’s Office operates off of fees. It is always supposed to have a large amount of money left in the bank at the end of the year. That’s the positive fund balance Johnson was talking about. When the office spends more than it takes in, it draws down on that cash reserve. Senior fiscal analyst Kris Wilkinson says both Johnson and McCulloch have had years where they have spent more than they take in. She says they have also both brought in more than they’ve spent in certain years. Johnson did spend more than he brought in a couple years in a row before McCulloch took over. But that was for a big IT infrastructure project, updating old computer systems. Johnson says that project was on track for completion last year but was stopped by McCulloch. McCulloch says she has had to renegotiate the contract for that project because it cost too much. On other issues, Johnson is a supporter of stricter voting laws. He wants to require voters to show photo ID at the polls and eliminate election-day voter registration. He says this would be an effort to combat voter fraud. Johnson says that’s not a big problem in Montana and he wants to keep it that way. “I think it is simply prudent and responsible for the chief elections officer to be proactive in an effort to place safeguards that will preserve the integrity of the elections we currently have in Montana,” Johnson said. What McCulloch means is there are no documented cases of voter fraud in the state. She agrees with same-day voter registration. Johnson says stands by his belief, saying Montana is not immune from the fraud experienced by other states. Under his proposal, the state would issue free photo ID cards to those without something else, like a driver’s license. He says that would cost the state money, but it would be negligible. “One place beyond National Security where it is appropriate for the government to spend money it’s in the area of preserving integrity of elections,” Johnson said. 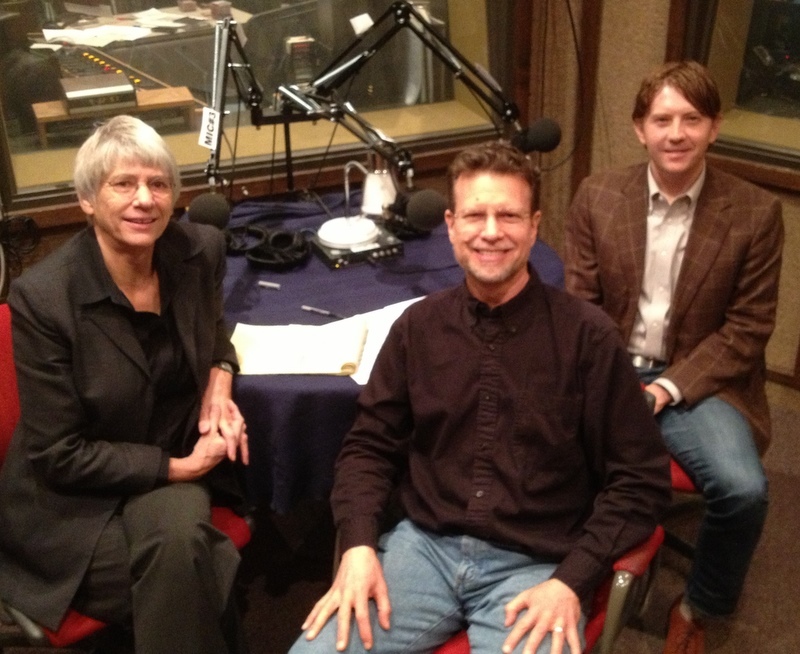 The two candidates do have different ideas for how elections should run in Montana. Their biggest challenge may be getting voters to pay attention to their different visions among everything else happening this election year.